The Greaney Family Scholarship was announced in 2017 by then principal Mr. Eugene O’Brien. 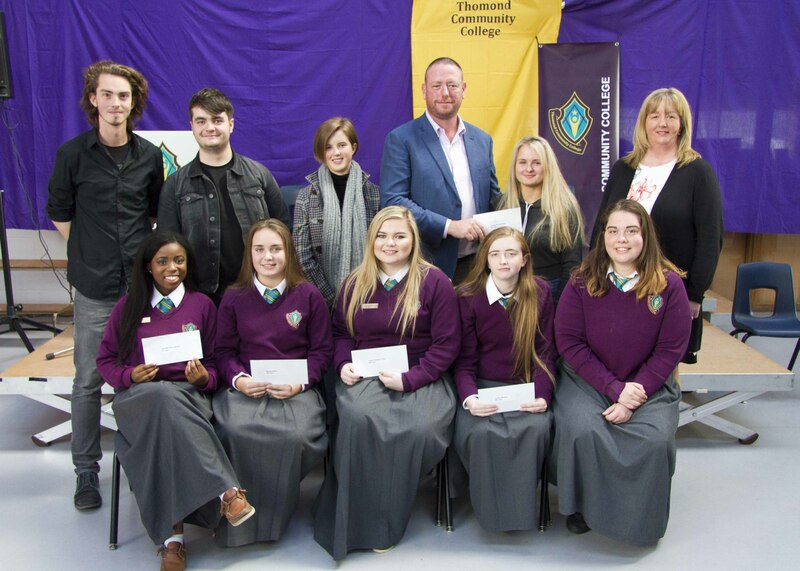 The Greaney Family are former students of the college and have very kindly offered 25 scholarships to the top five students in 1st, 2nd, 3rd , 5th & 6th Year. 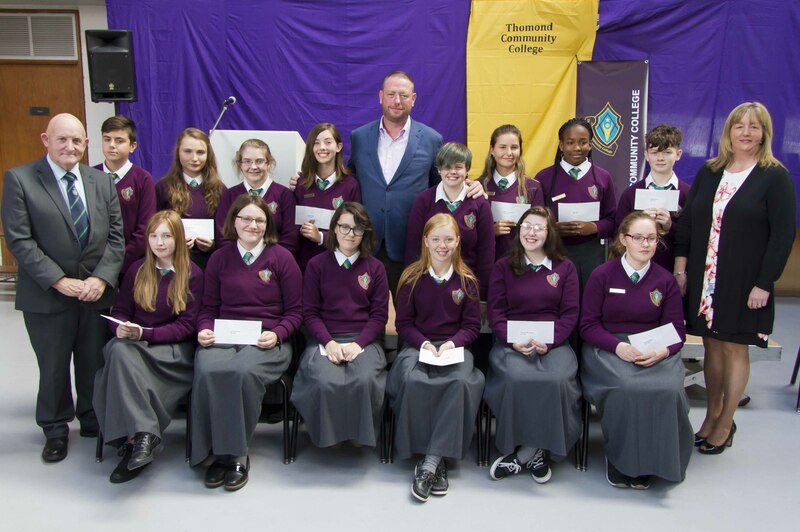 They are anxious to encourage every student to strive to achieve their very best, academically, while they are students in the Thomond Community College. The initial roll-out in 2017 included: Five scholarships of €500 each awarded to five 1st Year students who have achieved the highest grades in their examinations by the end of 1st year. 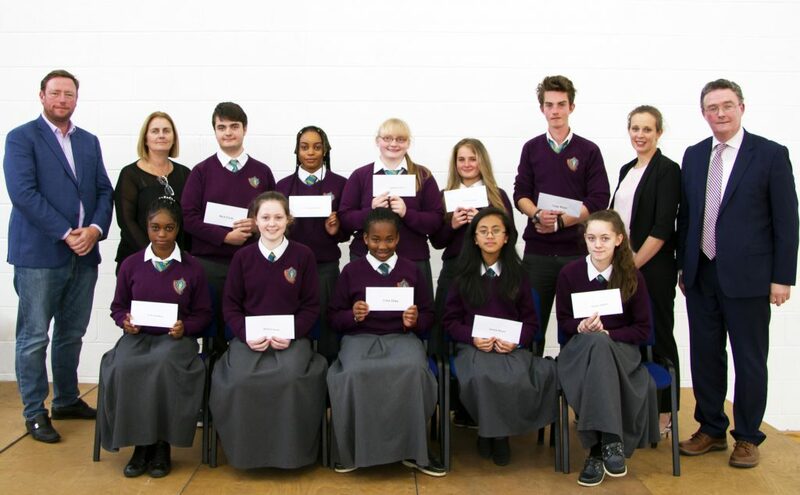 The scholarships will be awarded at the beginning of September of second year.An additional five scholarships of €1,500 each will be awarded to five 5th Year students who have achieved the highest grades in their examinations by the end of 5th year. The scholarships will be awarded at the beginning of September of sixth year. The Greaney Family have committed to providing a total of 25 scholarships, 5 in each year, 1st, 2nd, 3rd 5th & 6th. The value of the scholarships will increase in value through to 6th Year. I am sure that you will agree that this is a tremendous opportunity for students and it will provide tangible reward for those who work hard and strive to achieve. It is also a magnanimous gesture on behalf of the Greaney Family and I wish to take this opportunity to thank the family for their contribution to the college and our students. It is greatly appreciated. Mr. O’Brien.